Sign the petition to support the Ashley River Historic District. As one of the most iconic places in the South Carolina Lowcountry, the Ashley River Historic District illustrates the Palmetto State’s layered cultural heritage, from its colonial beginnings in the 17th century through the mid-20th century. Few places in the state offer such a comprehensive opportunity to understand the breadth and complexity of South Carolina’s history and evolution. Listed on the National Register of Historic Places, this nationally significant Historic District is also traversed by the centuries-old Ashley River Road—thought to be the oldest road in South Carolina still in use today. The Ashley River Road is a National Scenic Byway that is also individually listed in the National Register. 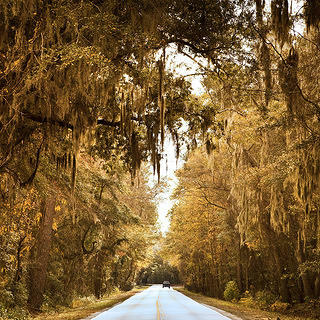 A moss-draped live oak tree canopy draped over the 11.5-mile stretch of the Ashley River Road preserves its historic character. 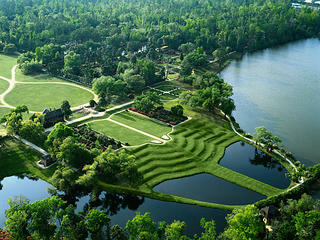 The Historic District is also home to two National Historic Landmarks: Drayton Hall (a National Trust Historic Site) and Middleton Place. In addition, the Historic District includes former Native American trade routes, slave settlements, cemeteries, rice fields, phosphate mining camps, archeological sites, remnants of small tenant farms, and post-Civil War settlements formed by African Americans—all of which help tell the full history of this area. Donate to our campaign to protect the Ashley River Historic District. 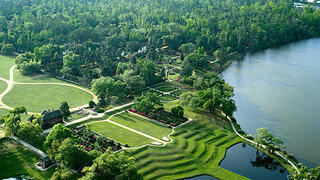 Aerial view of Middleton Place on Ashley River Road. 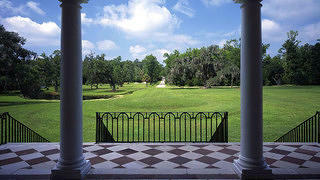 View from the portico of Drayton Hall, looking towards Ashley River Road. Despite the historic significance of the Ashley River Historic District to both South Carolina and the United States, a portion of this Historic District is under threat. Annexation of approximately 2,200 acres of the Historic District by the City of North Charleston could lead to zoning changes, likely ushering in intensive development (along with increased traffic, noise, and other impacts) that could irreparably damage the historic landscape and forever alter the integrity of this key piece of our nation’s history. 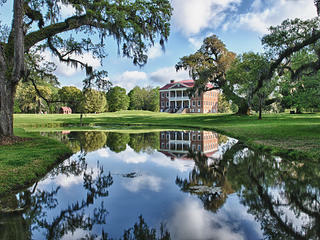 In addition to our participation in ongoing litigation, the National Trust and our partners—including Drayton Hall Preservation Trust, Historic Charleston Foundation, Preservation Society of Charleston, Open Space Institute, Middleton Place and South Carolina Coastal Conservation League—are seeking permanent ways to protect the Ashley River Historic District through initiatives such as conservation easements and increased buffer areas alongside the Ashley River Road. The National Trust is also open to cooperation with all governments in the tri-county area in order to secure and enhance protections for this National Treasure. Secure permanent protections for Ashley River Historic District. Good news for the Ashley River Historic District!